Dream has an excellent temperament, quiet and willing. Dream learns quickly, goes nicely on the bit and is always trying to please.� Easy to catch, shoe, float, tie up, worm, etc, etc.� Dream has had limited competition outings mainly due to growing up in Tasmania. Nevertheless she has done a few dressage comps, a couple of training ODEs, a combined training day and a number of clinics. Dream is happily doing leg yielding (scoring 9s), shoulder in, travers, renvers and�half pass.� Her turns on the haunches are very respectable and she is really getting the hang of lengthening and medium trot, walk to canter and canter to walk transitions. Dream is also showing a talent for single flying changes with tempi changes imminent. 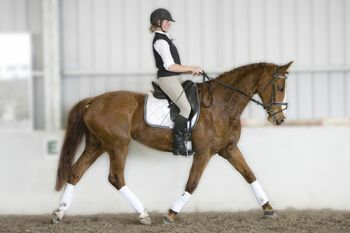 Dream is a very confident jumper up to one metre and tackles whatever you put her to.� Whether it is cross country or showjumping, she is happy to have a go.� She is relaxed and comfortable on course and just canters around without any dramas.��Dream does carry the very fancy Pilot bloodlines on her sires side. 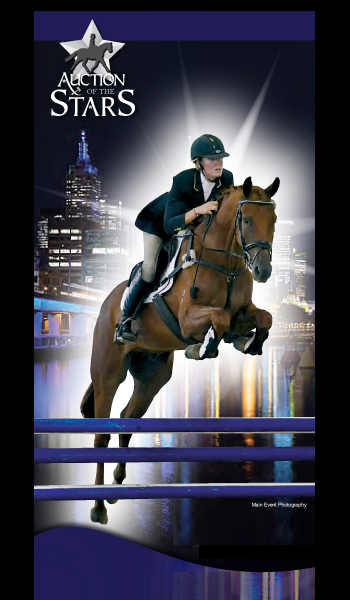 Pilot is one of the outstanding German showjumping bloodlines. There is very little Pilot blood in Australia, so Dream is particularly unique in this regard.